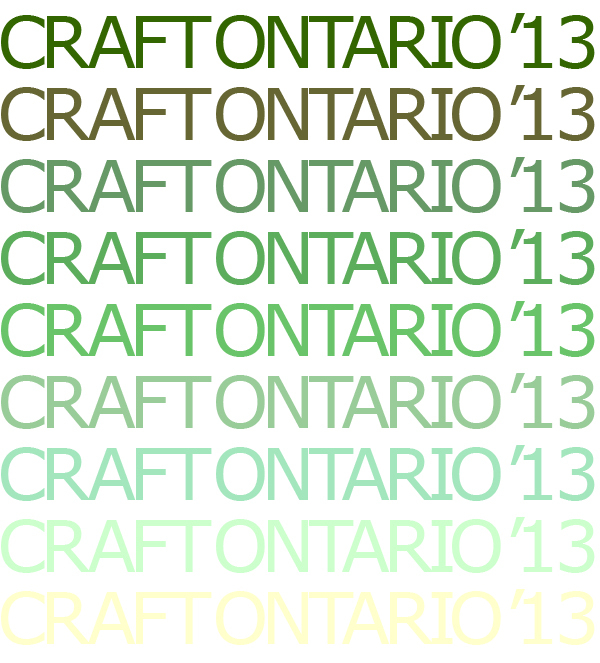 The CRAFT ONTARIO '13 call for entry is open! Since 1975 the Ontario Crafts Council has supported the development of contemporary craft through a biennial juried exhibition showcasing the best of member work. Submitted entries are also considered for recognition by three cash awards that celebrate outstanding achievement: Award of Excellence, $750; Best in Show, $500; and Honorable Mention, $250. Copyright © 2013 Ontario Crafts Council, All rights reserved. You are receiving this email because you opted in as either a member or supporter of the Ontario Crafts Council.